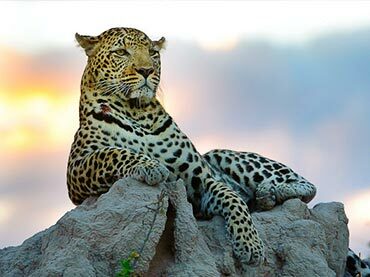 Construction is just like nature; the most amazing and stunning buildings are often found in extreme environments. 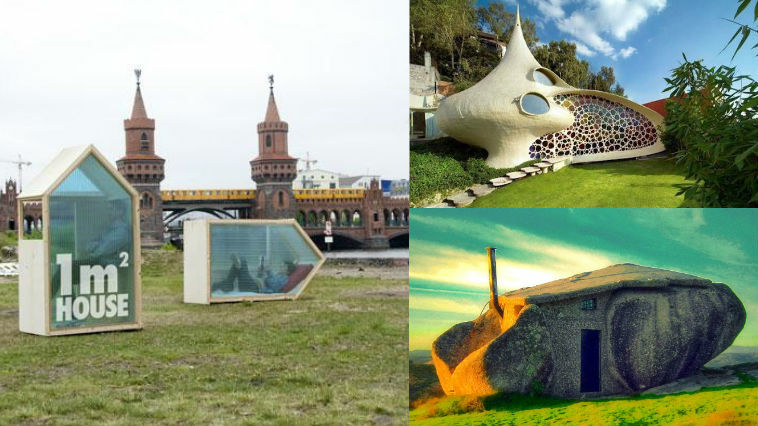 From unexpected places, you will find the most rare and extraordinary structures. 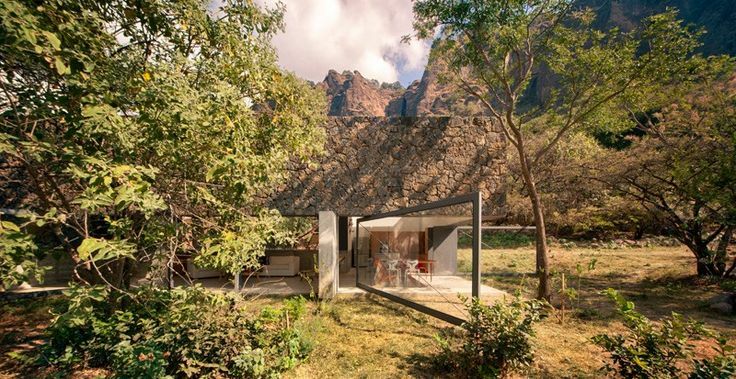 One of the most powerful forces in nature is the volcano, and it is not a wonder why many architects design structures inspired by this land formation. 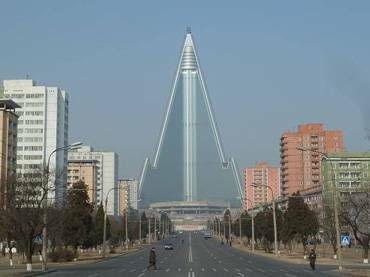 People may not right away see the influence of volcanoes on the design, though, because they are seldom cone-shaped structures. 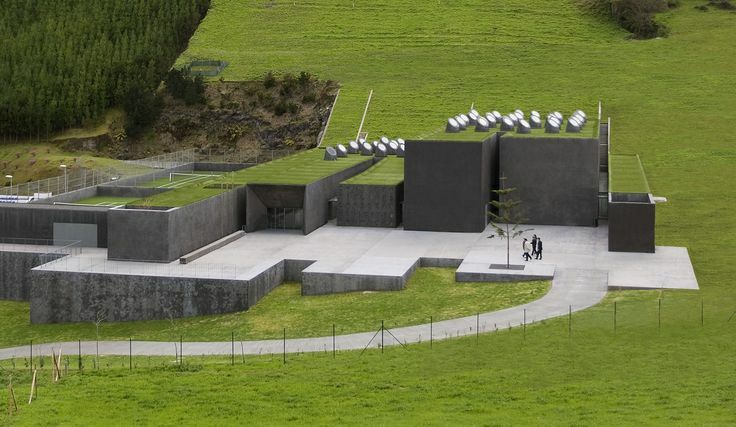 But showing their ingenuity, architects marry classical or modern architecture designs with the landscape of volcanoes. 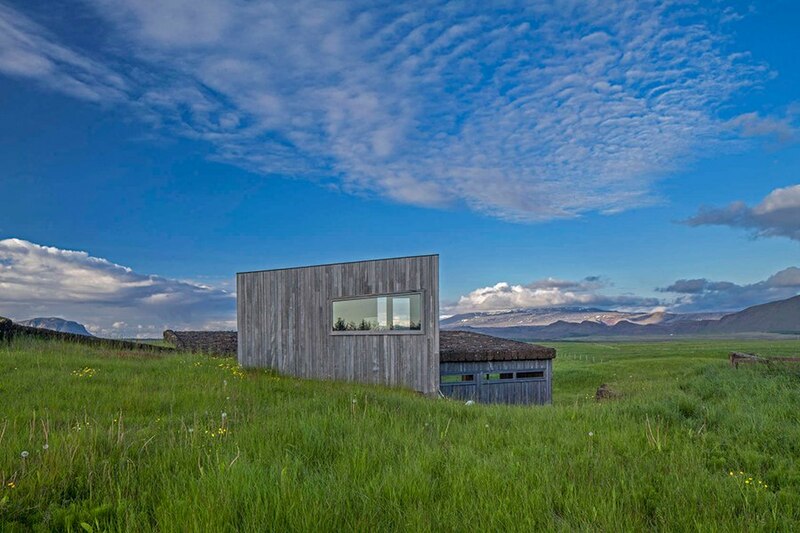 It is even impressive to know that these structures are built near real volcanoes, on the edges of dormant ones. 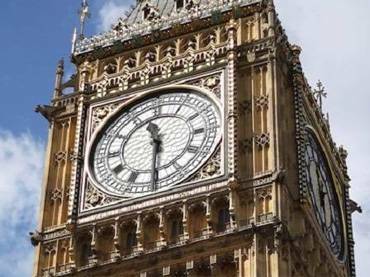 Building these beautiful structures must have been daunting, which makes these structures more amazing. Hawaii is known for its many volcanoes. 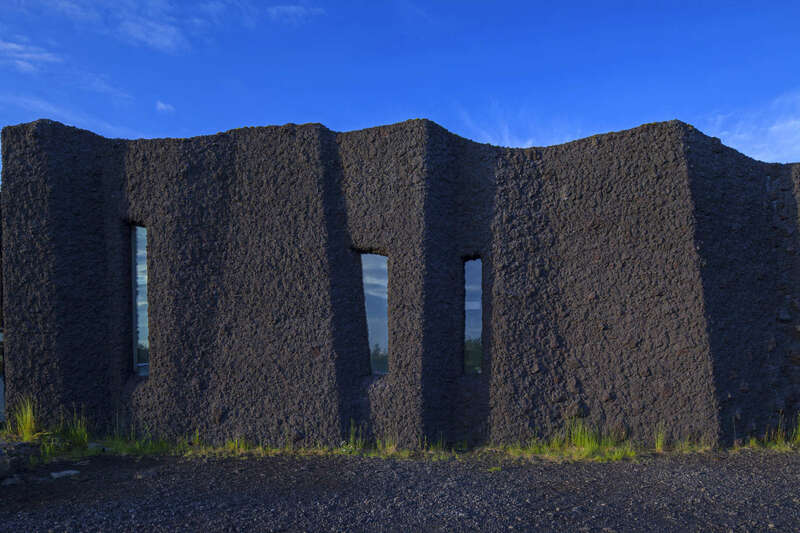 It wouldn’t be a stretch to think that architects would build houses and other buildings inspired by the lava-spewing mountains. 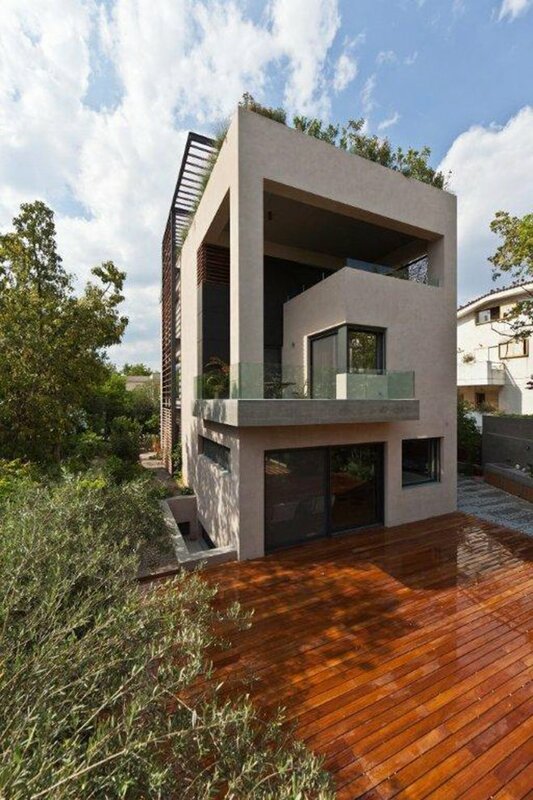 This beautiful house is the creation of Belzberg Architects. 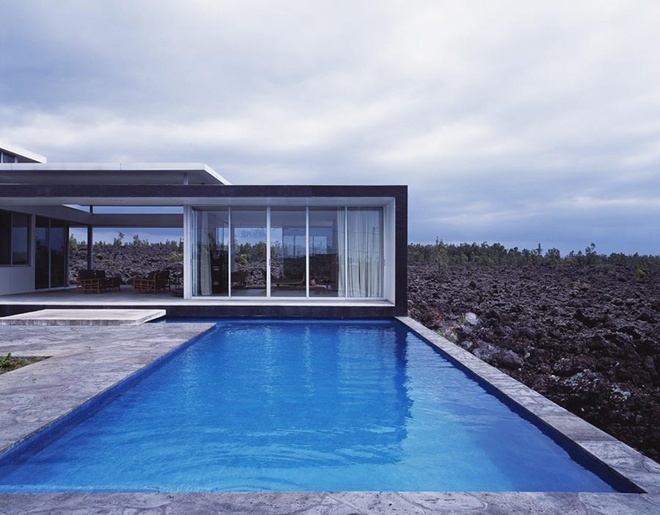 Built in between “two cooled lava flow” in Kona, architects used lava rock in constructing the residence. This is Mt. 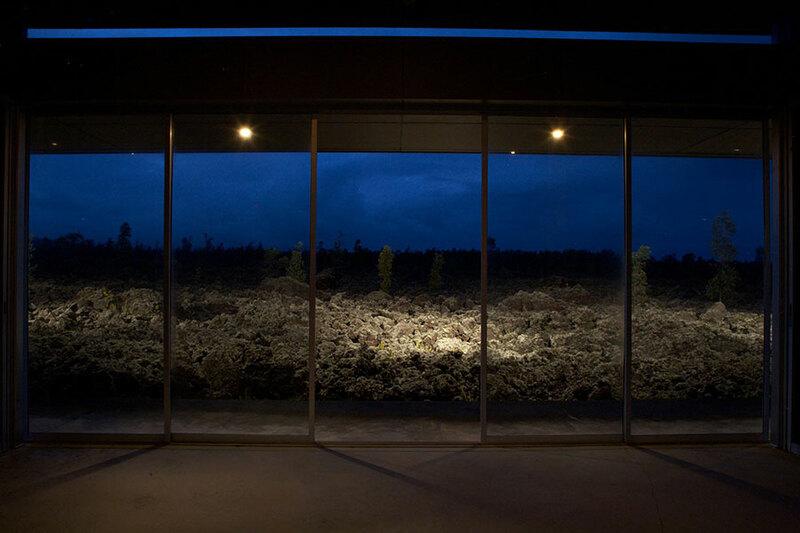 Hekla Museum. 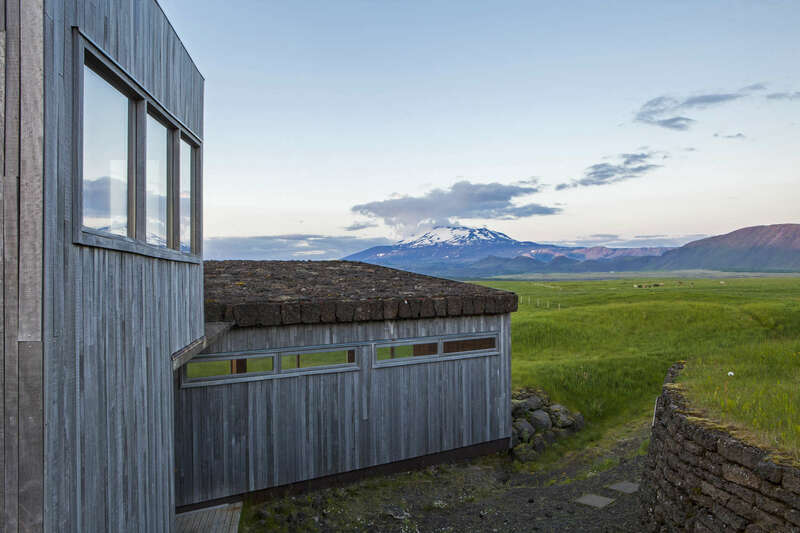 The structure has a cave where visitors can explore one of Iceland’s most active volcanoes’ history—literally! 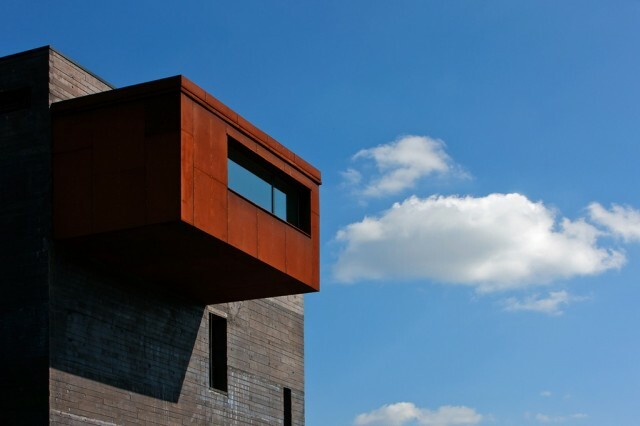 The museum’s side structure is its most striking feature. 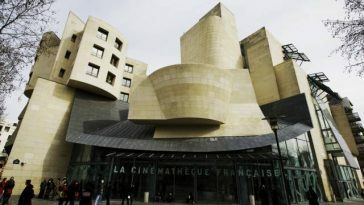 It is a large lava façade. 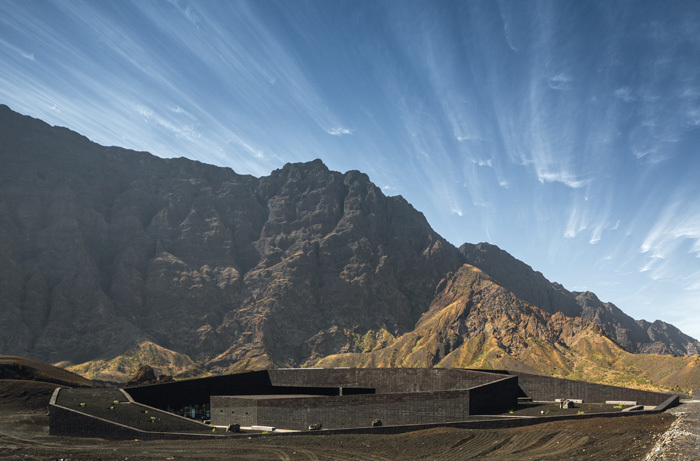 The museum was designed and built by Iceland’s EON Architecture. 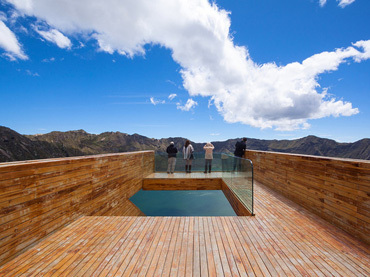 This municipal pool is located at the Azores in Portugal. The Azores is an archipelago formed by volcanic activity. 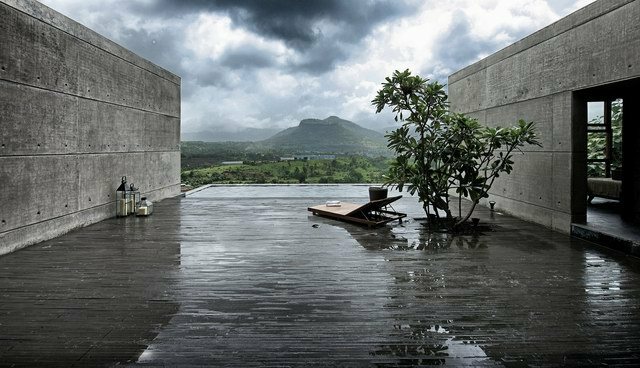 The imposing and large black slabs that jut out from the hillside are a tribute to the volcanic eruption that made the islands. 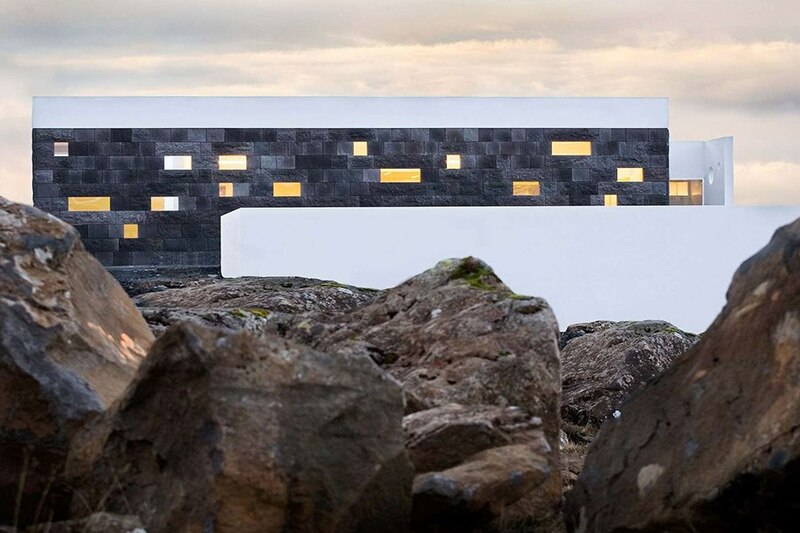 Designed by EDAA, this beautiful and peaceful retreat use volcanic stones as walls. 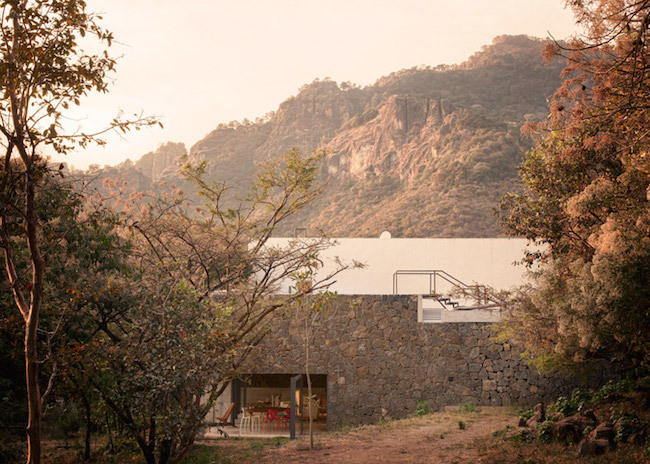 The Casa Mestitla seamlessly blends into its surrounding. 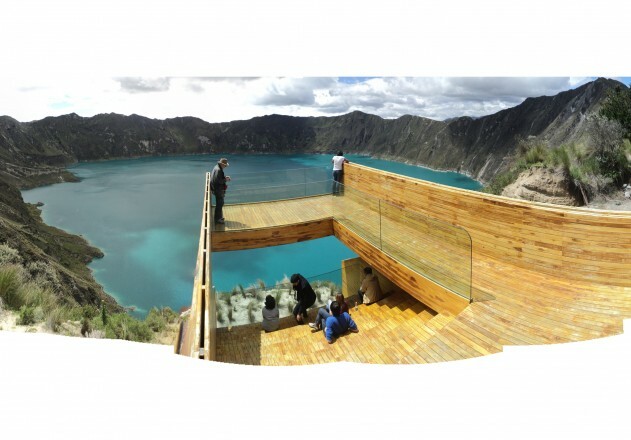 Quilotoa Shalala Overlook was built to give a viewpoint for a tourist attraction. 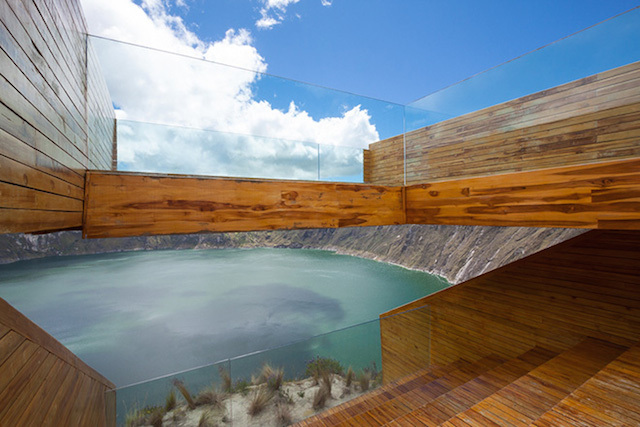 The structure was built on the edge of a dormant volcano’s edge. 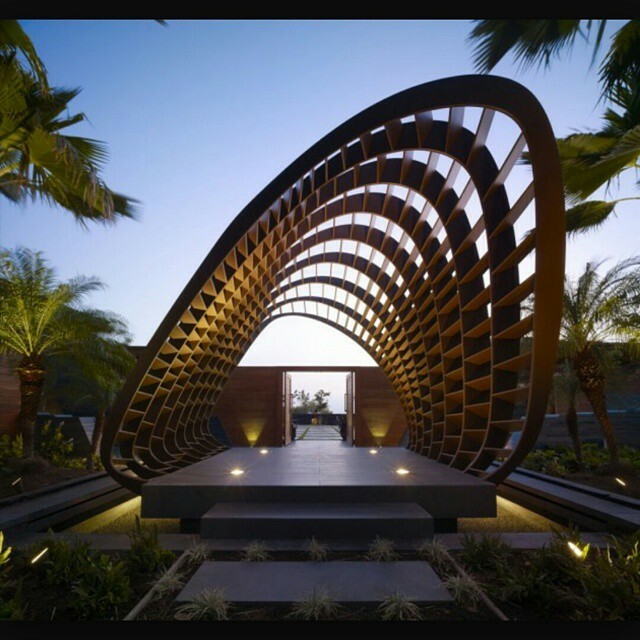 Architects Daniel Moreno Flores, Jorge Javier Andrade Benitez, and Javier Mera Luna collaborated to build a structure that would give tourists a view that they can’t get anywhere else. Visitors will feel like they are flying over the crater. 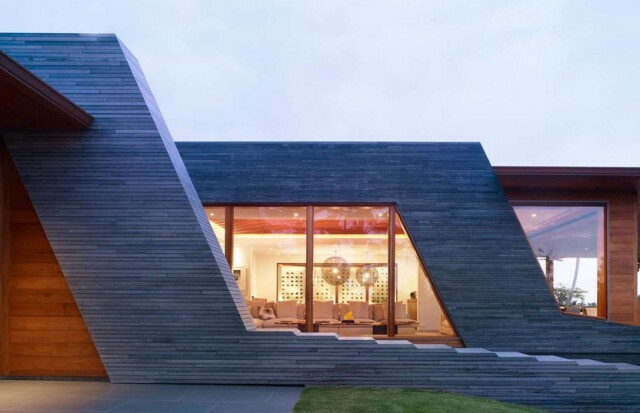 Because volcanoes are active in Greece and the Mediterranean, it is not surprising that architects incorporate volcano rocks into their designs. 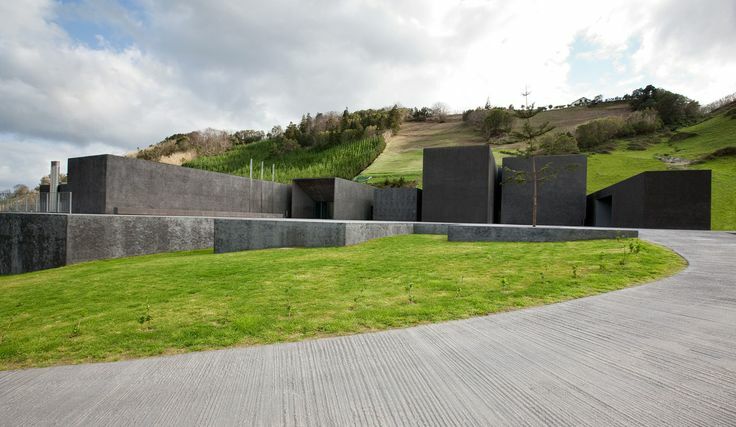 This wonderful residence use black lava stone to intensify shadows on the structure. 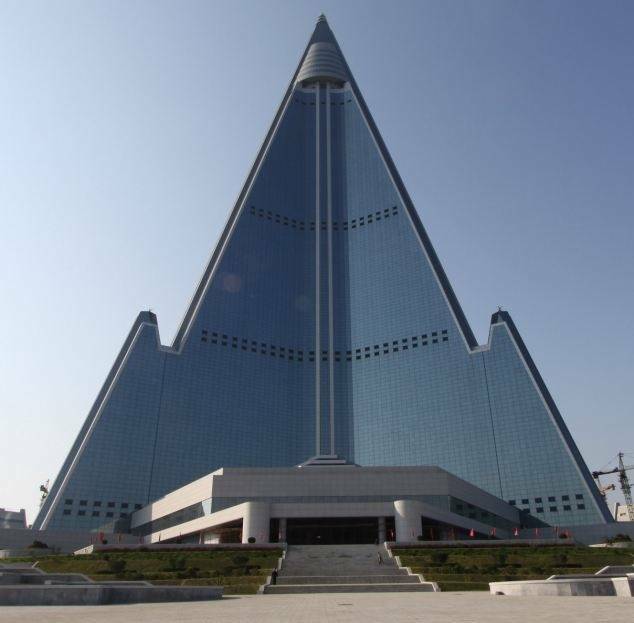 It was designed by Gem Architects. 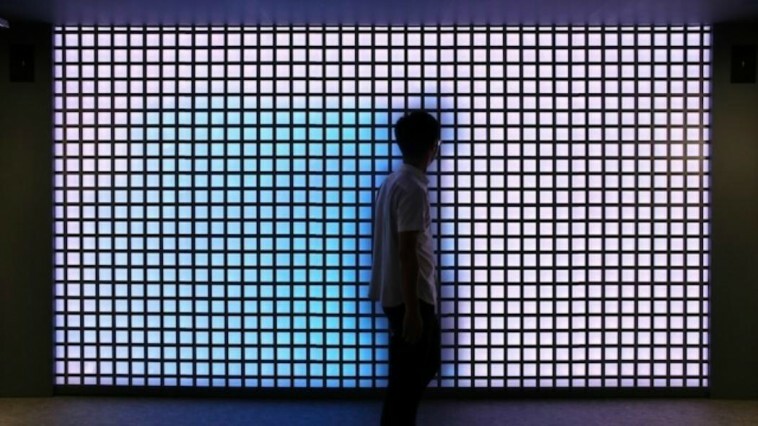 FNP HQ is designed by Oto Arquitectos. 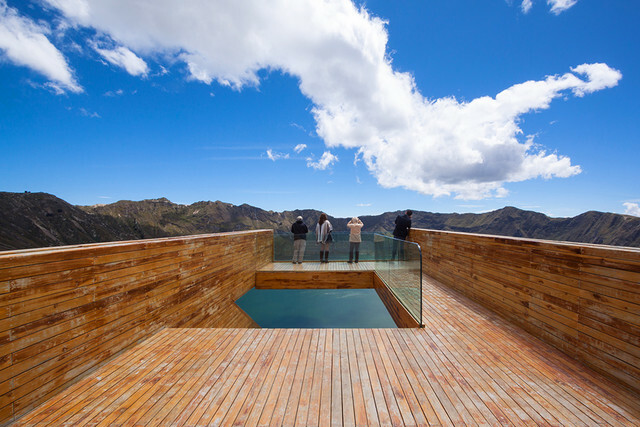 It was built on the edge of Pico do Fogo, the volcano that formed Fogo Island. 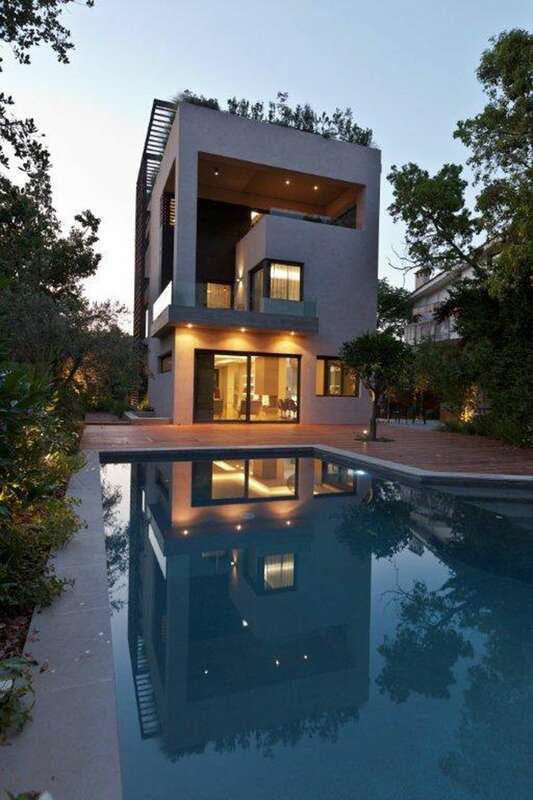 The house was designed to blend in its surrounding. 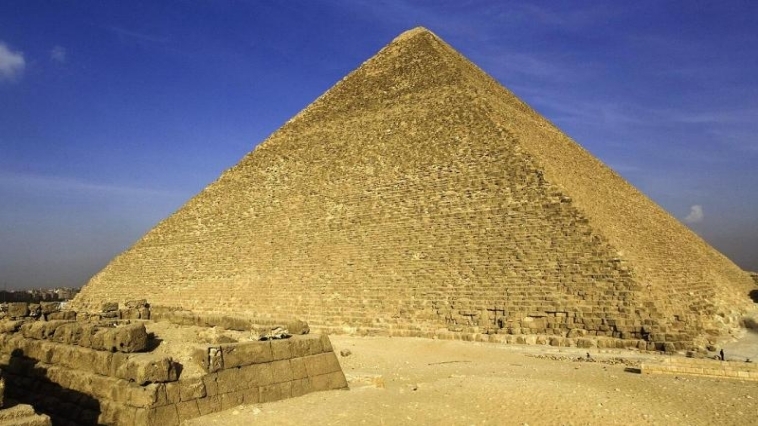 Its roof was covered with ashes, and volcanic rocks mined from the area were cut and used as the structure’s elongated blocks. In November 2014, just seven months after its inauguration, Pico do Fogo erupted destorying the FNP HQ. 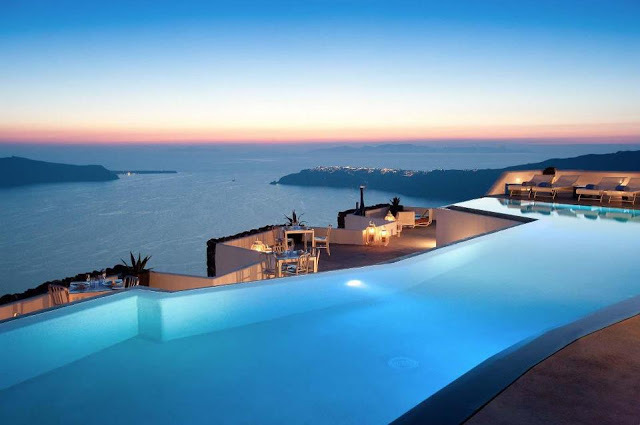 Santorini Grace Hotel in Greece is considered to be one of the world’s best resorts. 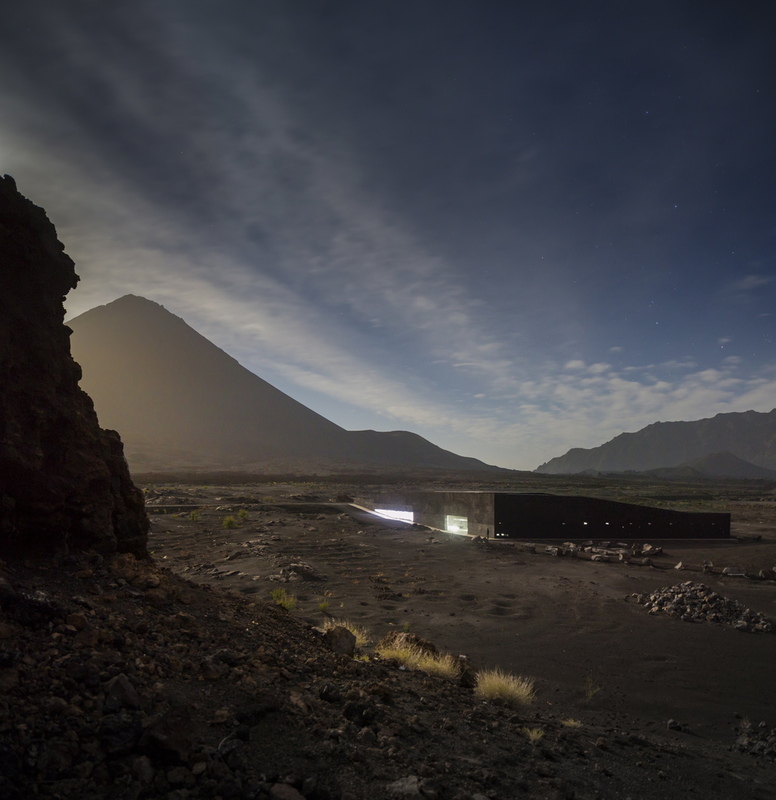 It was built on a volcano’s caldera. 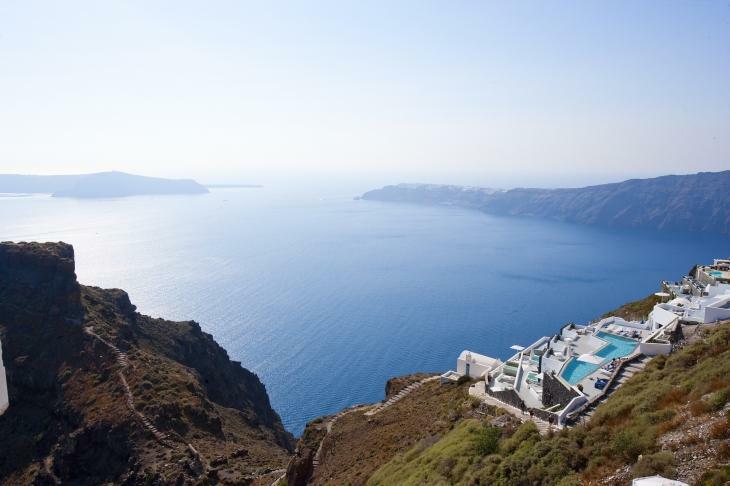 Designed by Divercity Architects and Mplusm Architects, the resort’s terraces trace the contours of the caldera. 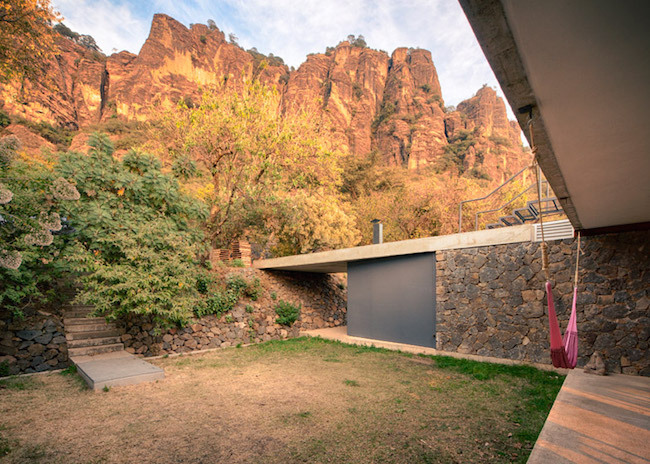 While the walls and storage areas in the resort’s rooms were carved directly from the rock face. 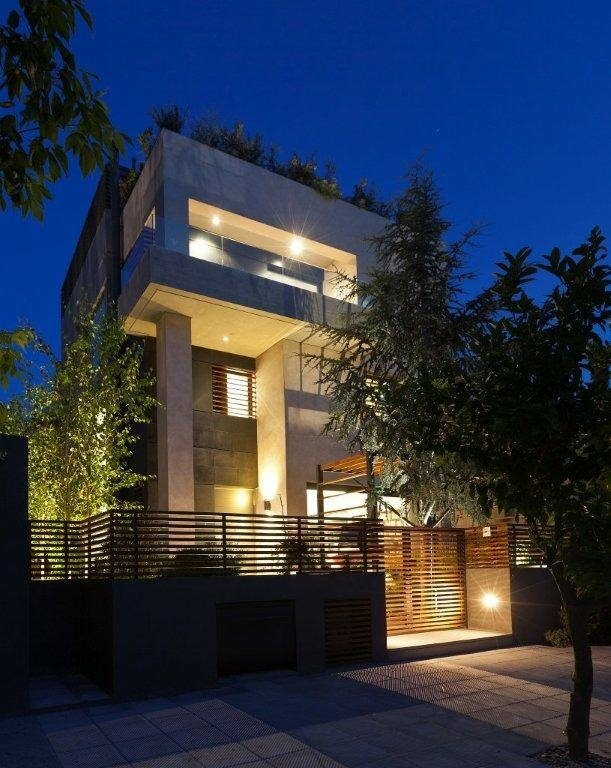 This beautiful resident was built using basalt rock in the region mixed with concrete. 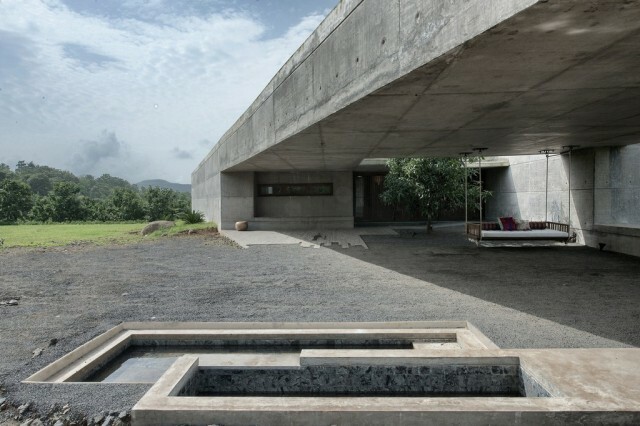 SPASM Design Architects used the volcanic rock formations in the area as an inspiration in building the house. 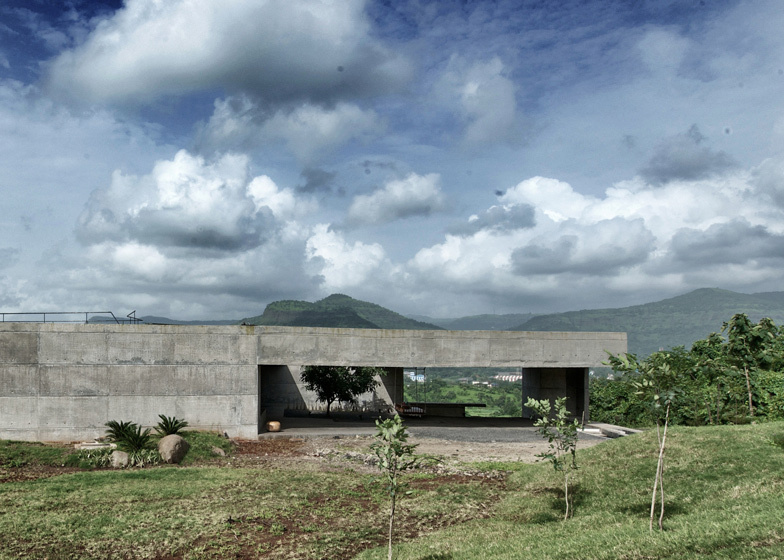 The material serves it well because of the area’s monsoon-drenched climate. Basalt rocks are formed when lava cools down. 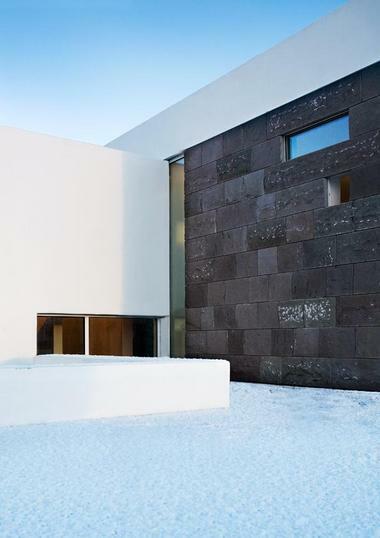 This cemetery office in Reykjavik features plenty of basalt rock to contrast the office’s white concrete. 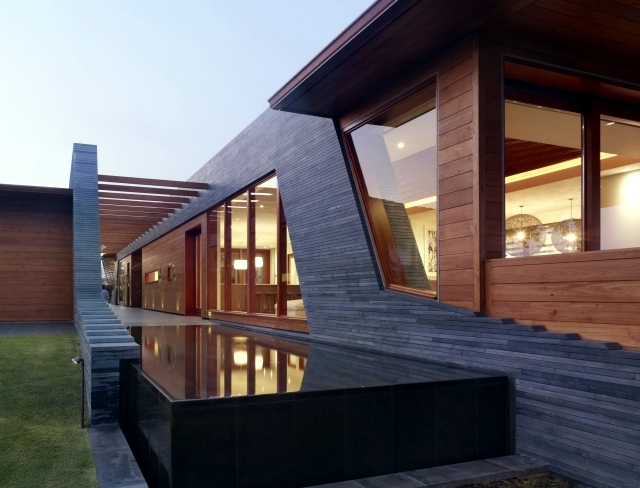 This residence was designed and built by Craig Steely Architectures. It was named Lavaflow 1 because it was built on a hardened lava flow. 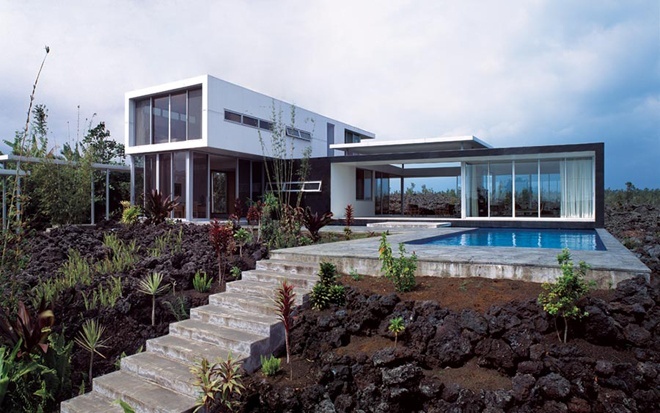 Built on Hawaii’s Big Island, the home features a unique view of the ocean on one side and lava flows that hardened around the house. 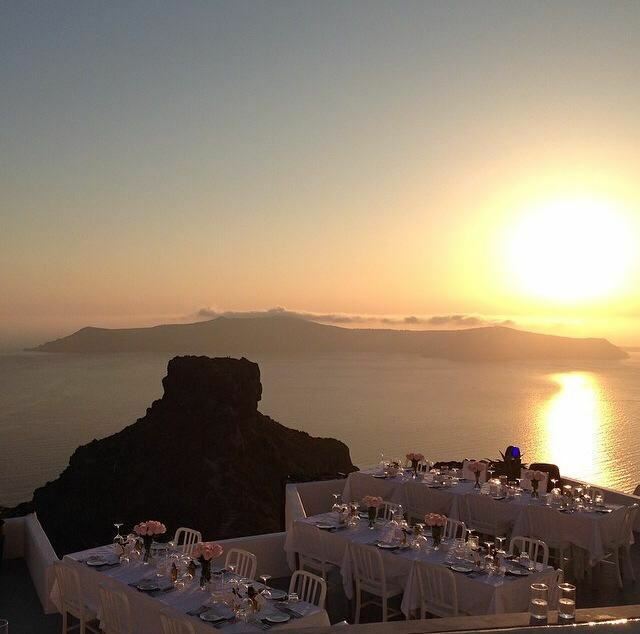 The magnificent view of Mt. Kilauea is also visible from the lanai. 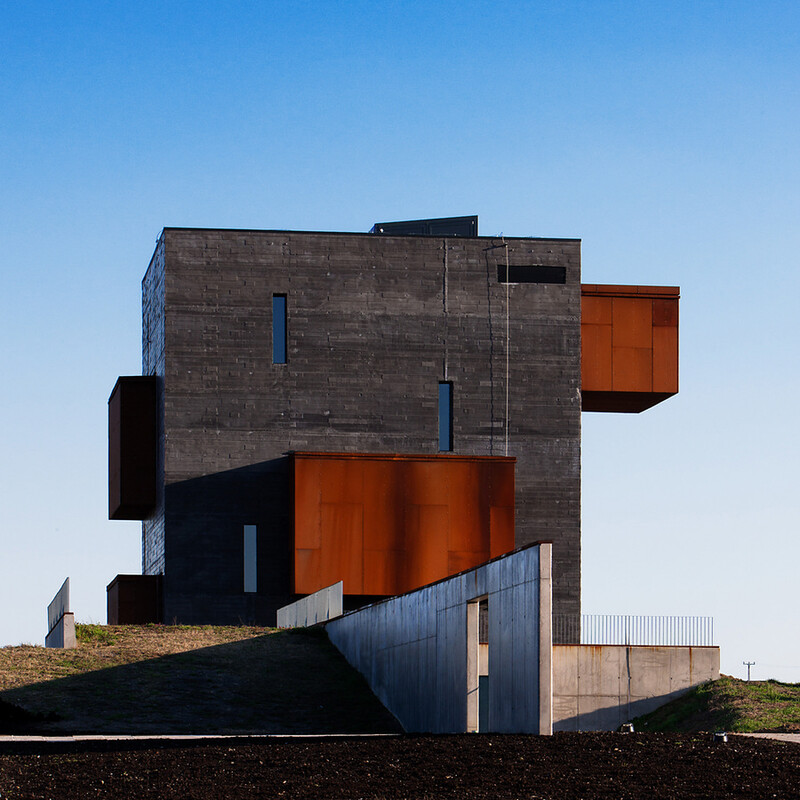 Hungary’s Kemenes Volcanopark is inspired by a five-million-year-old dormant volcano, Sag Hill. The center’s visitors are moved upward as magma moves through tubes and chambers.